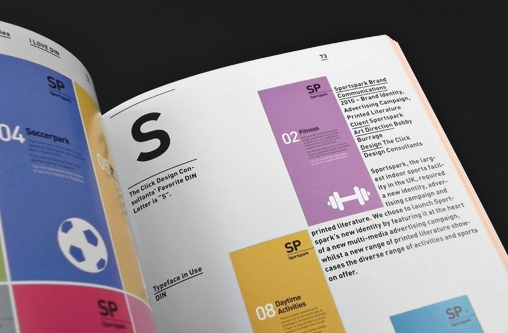 The visual identity we created for Sportspark has been featured in I Love DIN, a new publication devoted to the DIN typeface. Put together by Spanish design duo TwoPoints.net, I Love DIN is the fourth in their I Love Type series and features work by top design agencies from across the globe. 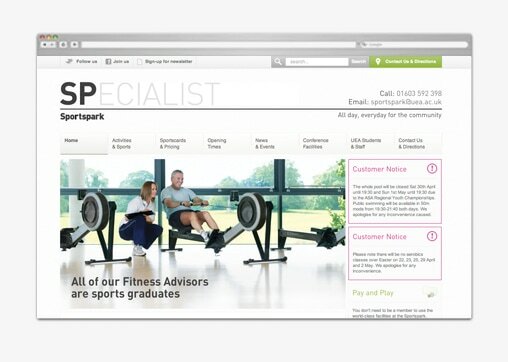 In our work for Sportspark, we made use of DIN for the ‘SP’ logo and brand name, applying it to a range of printed literature, a website and exterior signage. We have been asked to be a part of another book in the series, the upcoming I Love Gill Sans. Stay tuned to our Scrapbook for details. You can read more about the inspiration behind the project here, and visit TwoPoints.net here.